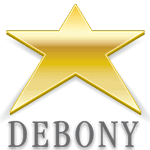 At Debony Salon our talent reaches far beyond the hair-dresser chair. While we love to cut, color and style our client’s hair, we also love to take the process of helping someone feel their best. Which means knowing everything there is to know about the art of make-up application. Here at the salon, we work exclusively with Jane Iredale products. We love this beauty company so much because of the integrity of each product. Made from minerals, many of the product lines offer a unique, but imperative function in skin health. Products are non-comedogenic, which allow pores to breathe. Several Jane Iredale products provide protection from the sun and all are dermatologically tested to ensure minimal allergy risk. These are just a few of the attributes that set this company apart and only a few reasons as to why we love working with them so much. We work with clients on applying make-up for every-day wear, special occasions and for weddings. Along with applying make-up, we talk with our clients about what products work best with their specific skin type, how to continue the look we have achieved outside of the salon and how to apply specific products. Call us today to book a make-up consultation and application to help find your best look at 603-383-9366. Our staff have participated in countless Jane Iredale make-up trainings and truly love working with individuals on how to enhance their natural beauty through the use of make-up. One of our “beauty experts,” Blair McDonald, shared her insight with us on the different Jane Iredale brushes she loves and why. A painter by nature, make-up application seemed like a natural progression of her love for art. While Blair fearlessly holds down the salon’s front desk, greeting clients and being the first impression of Debony Salon, she has made appearances as a salon make-up artist throughout the salon’s wedding season. Always coming to work with flawless make-up herself, helping someone achieve their own look brings Blair a lot of joy. This brush is light and fluffy. When creating the corner crease in someone’s eyelid, you don’t need a lot of product. This brush is delicate enough to help control the amount of shadow being used. By monitoring the amount of powder that is initially used when creating a look for the eye, you are allowed flexibility in building the rest of the look with layers that will come next. 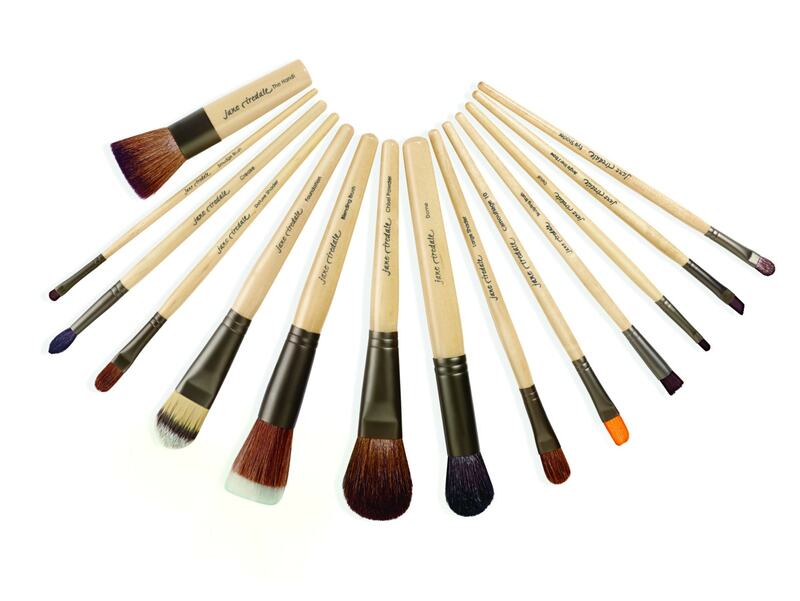 The texture of this brush really allows the produc to enter the clients pores and cover the entire surface area without having to use copious amounts of product. It provides even textures and works well with dry powder and liquid foundation. This allows very straight, crisp lines. I specifically love to use this brush to apply color underneath the bottom lash line. It allows me to get as close to the lid as possible and really compact the color there to accent the eye. The control this brush gives me is incomparable when it comes to working with tight spaces such as the eye.